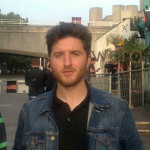 Bence is a 2nd year PhD student at Paris Descartes University in Paris. He is currently working on experiments investigating the cognitive and neural background of conflict detection in reasoning. Rafael uses behavioral science and behavioral decision theory to explore human behavior in the lab and in the field. Specifically, Rafael works to advance and apply behavioral science towards understanding the decisions of people living in poverty. Rafael is currently an Associate at the Busara Center for Behavioral Economics based in Nairobi, Kenya. 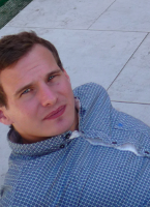 Michael started his PhD at the Stanford philosophy department in the fall of 2015, after finishing a Masters degree at the MCMP in Munich. He is currently interested in the intersections of epistemology (traditional, formal and social), modal logic, and philosophy of language. 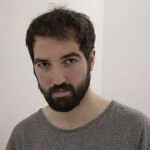 Peter is a PhD student in the Reasoning and Argumentation Lab at Birkbeck, University of London, which is run by Professors Ulrike Hahn and Mike Oaksford. His PhD investigates framing effects in judgment, decision-making and reasoning. He takes, where possible, an interdisciplinary approach, drawing on ideas in experimental psychology, philosophy and linguistics. 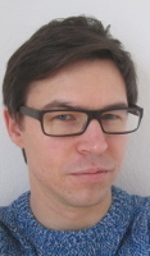 Anton is a philosopher of science and his current research is mainly focused on developing a Bayesian explication of Inference to the Best Explanation (IBE). His strong interests lie in confirmation theory, probabilistic reasoning and rational belief change, and he is a member of the European Philosophy of Science Association (EPSA), the Society for Exact Philosophy (SEP), and the Bulgarian Society for Analytic Philosophy (BSAP). At the moment he is a second-year PhD student in philosophy of science at New Bulgarian University, located in Sofia, Bulgaria. Darren is a 3rd year PhD student at Paris Descartes University in Paris, France. He researches variations in individuals’ abilities to detect conflict in various reasoning contexts. He is interested in both behavioral and neural underpinnings of these capacities. Estefania just finished her PhD on defeasibility in legal reasoning at the University of Giessen in the department of Prof. Knauff. She is still employed at the University of Giessen, but the focus of her research has moved somewhat to defeasible reasoning in everyday contexts. She is interested in the effect of prior knowledge, linguistic factors, emotions, and personal relevance on reasoning. 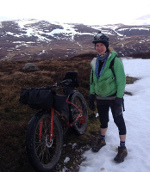 Megan is researching scenario planning at the University of Strathclyde, which uses the notion of intuitive logics as a tool to describe decision­making. She is exploring and measuring the assertions made about intuitive logics through laboratory experiments using a cognitive psychology paradigm and psychometrics. 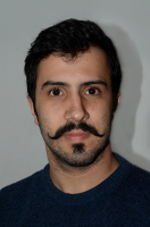 Mario is currently a PhD student at the Munich Center for Mathematical Philosophy and the Graduate School of Systemic Neurosciences, both embedded in LMU Munich. He obtained a Bachelor’s degree in Philosophy and Cognitive Science from Albert Ludwigs University Freiburg im Breisgau, and a Master’s degree in Logic and Philosophy of Science at the Munich Center for Mathematical Philosophy. He focuses on logic (non-monotonic reasoning), epistemology (belief revision), and philosophy of cognitive science (symbolic representation and neural networks, metacognition). His PhD project is about the description of reasoning with formalisms such as non-monotonic logics, probability theory and neural networks. 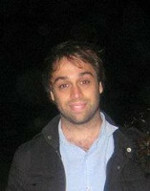 Jesse is a 3rd year PhD student in philosophy at the Australian National University. He works primarily on metanormative questions (question about the existence and nature of normative truth). Since September 2015, Atoosa is a Ph.D. student in philosophy of science & mathematics at University of Toronto. 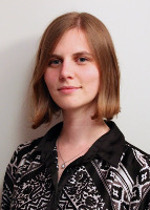 She holds a Ph.D. in mathematics from Ecole Polytechnique of Montreal in Canada where she worked on decision making problems and mathematical optimization for large scale systems. Her main areas of interest are exploration of logical and mathematical methods in addressing the questions of epistemology, human decision making, rationality, reasoning, and philosophy of language. She is also fascinated by philosophy of mathematics, philosophy of probability, and philosophy of physics. 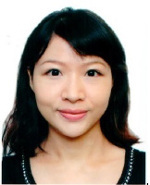 Ke is a 2nd year PhD student from the Philosophy-Neuroscience-Psychology program of Washington University in St. Louis, USA. Her current research focuses on the relationship between logic and cognition, particularly on the issue of normativity of logic and reasoning. She hopes to find out whether it can be argued that the very basic notions of logic tell us something about limitations or capacities of our cognitive system. 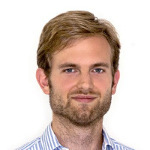 Simon is studying cognitive science as a Masters student at Albert-Ludwigs-Universität Freiburg, in addition he works as a research assistant at the Brain State Decoding Lab of the Brain-Links-Brain-Tools excellence cluster. His focus and his main research interests are in the cognitive processes of human reasoning, the modeling of these processes and especially their relation to language. As a cognitive scientist he is guided by the belief that theories and methods from all the different scientific fields are needed in order to create a holistic picture of human cognition. 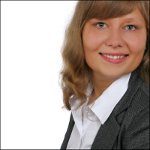 Anja is part of the research group of Prof. Dr. Josef. F. Krems who holds the professorship of Cognitive and Engineering Psychology at Technische Universität Chemnitz. Her dissertation project focusses on diagnostic reasoning and how we can use modern eye tracking measures to gain a better understanding of this very complex cognitive process. Ilir is currently in his last semester of the Msc. in Computer Science (specialisation Cognitive Technical Systems) by the University of Freiburg. His thesis consists in the formalisation of mental model theories. His research so far is focused on the field of modeling human reasoning and exploring how can ternary logic used in this context. Jakob holds a B.A. in “Philosophie-Neurowissenschaften-Kognition” from the University of Magdeburg. He read for an M.A. in “Logik” at the University of Leipzig. 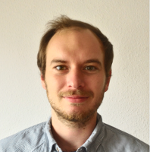 Since 2012, Jakob is Assistant Professor in the DFG project “Probabilistic Models of Coherence and Positive Relevance” at the University of Oldenburg. 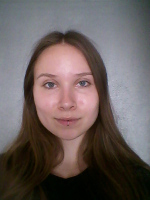 Karolina is a postdoctoral research fellow at the Munich Center for Mathematical Philosophy, LMU Munich. Her main research interests include semantics and pragmatics of conditionals, their role in reasoning and decision making, and philosophy of psychology of reasoning. 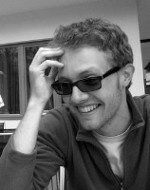 Adam is a PhD student at the Faculty of Philosophy, John Paul II Catholic University of Lublin in Poland. The subject of his thesis is Jerzy Neyman’s frequentist theory of statistical inference. 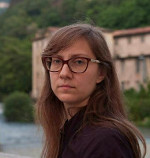 Marta is a 1st year doctoral student at the Center for Mind/Brain Sciences (CIMeC) of the University of Trento and she is working under the supervision of Katya Tentori and Giorgio Coricelli. 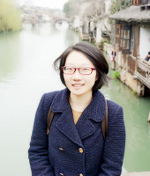 Her current research is focused on probabilistic and inductive reasoning. More precisely, she is interested in exploring how people take into account confirmation relations and probability relations in probability judgements. 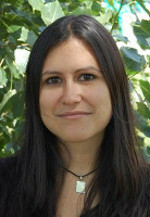 She is currently working with behavioral methods but she aims to further develop her research and address the neural correlates of these processes by using neuroimaging techniques. 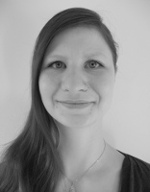 Judith is currently working as a PhD candidate with Prof. Tobias Schlicht at the Ruhr University Bochum. Her project is part of the bigger project ‘Situated Cognition. Perceiving the World and Understanding other minds.’ funded by the VolkswagenStiftung. Within the project she focuses on ‘Social Interaction and Mutual Understanding in Joint Action’. 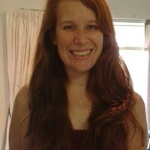 After graduating from the University of Queensland in Brisbane, Australia, with a Bachelor of Science in Psychology and a Bachelor of Arts in Philosophy, Linda was offered a place in Heidelberg’s Psychology Master’s program, which she gladly accepted because of its unique focus on adaptive cognition. She is currently in her second semester and would like to pursue a PhD, preferably in the area of decision making, after completing her degree. Patricia is currently a student at the École Normale Supérieure in Paris. After having received a Masters degree in Contemporary Philosophy, she is currently pursuing a Masters in Cognitive Sciences, with a reseach project on the topic of replication biases in scientific publications. 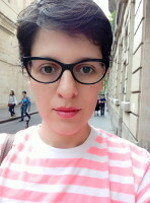 Next september, she will be starting a PhD in philosophy at Sorbonne University (Paris IV) on the topic of scientific error, with I. Douven as her advisor. Her areas of interest include : epistemology, philosophy of science, rationality, logic and feminist philosophy. 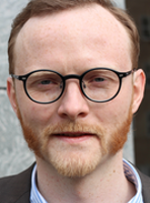 Andreas obtained a philosophy PhD from Goethe University/Frankfurt in June 2016 with a thesis on pragmatic encroachment on knowledge and epistemic norms for practical reasoning. He was a visiting scholar at Rutgers University and the University of Southern California, currently he is a research assistant at Goethe University. His research interest still centers on reasons and rationality, in both the epistemic and the practical domain. Ian is a Master’s student at the University of Saskatchewan, intending to continue to complete his Ph.D and remain in academia as a cognitive psychology researcher. His current research focuses on reasoning biases and how reasoners detect inconsistent information and resolve the inconsistency when making decisions. Nancy is a graduate student at the Universidad Nacional Autónoma de México. Her current research is on deductive knowledge and epistemic closure principles. She is interested in naturalized epistemology, logic, philosophy of logic, philosophy of cognitive sciences and philosophy of language. 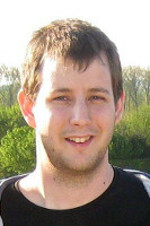 Caspar is currently finishing his Bachelor’s degree of computer science at the University of Bremen and will join the Foundational Research Institute (FRI) thereafter. His research focuses on the theory of artificial intelligence with a special focus on long-term AI safety. At FRI he will also be involved in cause-prioritization research to find out which interventions have the highest positive impact on the future. Ignacio is a 5th year Philosophy PhD candidate at Columbia University working on Formal Social Epistemology. 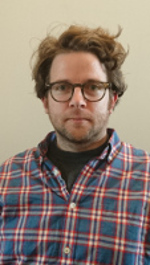 In particular, his research focuses on consensus aggregation as well as game theoretic applications on the division of cognitive labor in the sciences and in other areas of social epistemology. 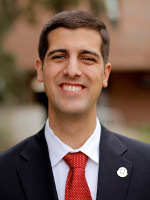 Sebastian is a Ph.D. student at the Center of Economic Psychology of the University of Based. He is in the third and last year of his Ph.D. He is interested in applying cognitive and mathematical models to economic topics, like risk taking and social preferences. Niels received a PhD in philosophy from the University of Konstanz for a dissertation on psychology of reasoning, rationality, and conditionals. Since then he has continued this work through a Postdoc within ‘New Frameworks of Rationality’ and is currently doing a second PhD in psychology at the University of Freiburg, where he conducts experiments on conditionals, relevance, and reason relations. 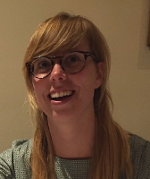 Josefine is a 1st year Ph.D. student at the University of Copenhagen. She is part of a research group on the epistemology and social psychology of disagreement. 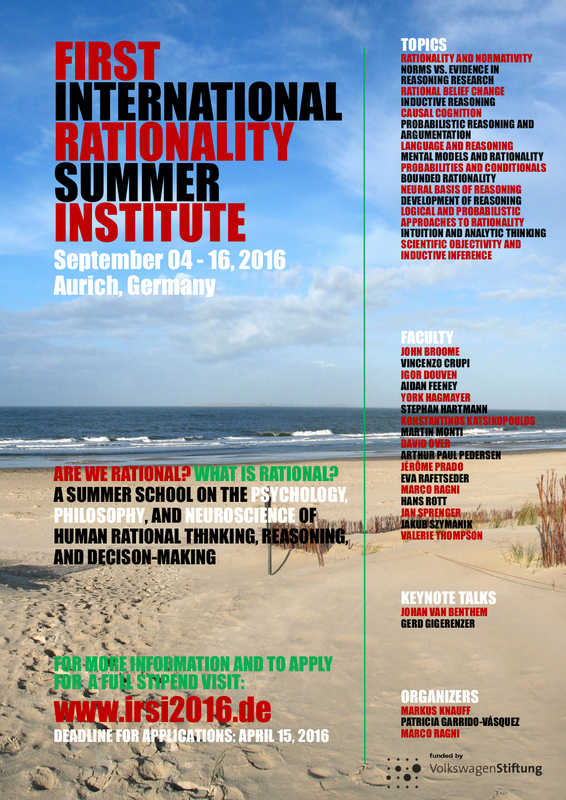 She is interested in Bayesian rationality and the role of higher-order beliefs in disagreements. Danielle’s main research interests lie within the field of probabilistic reasoning and argumentation, with the occasional detour to decision making processes. She is a student at the University of Zurich, currently in the midst of her master’s degree. 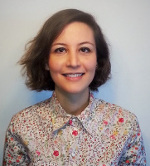 Alice is currently working as a postdoc/research assistant for Dr. Marco Ragni at the University of Freiburg (in the Special Priority Program “New Frameworks of Rationality”) and completing her PhD in Psychology at the University of Granada, Spain. She has got an MPhil at the University of Hong Kong in 2008. Her current primary research goal is to know more about cognitive processes and the importance of individual differences in reasoning. 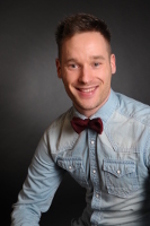 Andreas is currently a Ph.D. student of psychology at the Justus Liebig University in Giessen, Germany. He works at the department of experimental psychology and cognitive science. His research centers in the field of belief revision in human spatial reasoning. 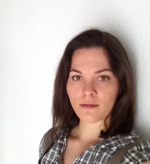 Joana is a 2nd year PhD student at Lisbon University (Faculty of Psychology). Her research focuses on how people adapt their judgment strategies according to the characteristics of the decision environments with a particular emphasis on the social component of these decision environments. Patricia graduated from Carnegie Mellon University’s Philosophy Department last summer and she is now a Postdoctoral Researcher at the University of Bristol. The general theme of her research is engineering ways to answer new and important questions about normative rationality by integrating tools and concepts from different disciplines. For example, she has been evaluating simple decision heuristics using Expected Utility Theory and applying game theory to address epistemic rationality in interactive situations. Giovanni is a PhD candidate at Federal University of Rio Grande do Sul, Brazil, since 2014. He works mainly on epistemology – knowledge, perception and rationality – and is interested in philosophy of mind and cognitive psychology. 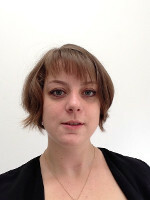 Flora is a PhD student in Cognitive Neuroscience at the University of Lyon, France. The goal of her research is to study the neural bases of logical reasoning in children using fMRI. 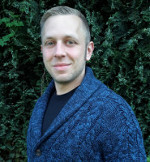 Since April 2016 Benjamin is employed as a research assistant at the department of General and Cognitive Psychology at the Justus Liebig University in Giessen. He holds an appointment of the DFG priority program “New Frameworks of Rationality” with the focus on the topic of the revision of rational convictions with regard to legal inferences and within this project he will also do his Ph.D. Hence, he will concentrate his research efforts on the experimental investigation of legal thought and decisionmaking processes as well as the interpretation and application of legal rules. Basically, his research project will put quite a lot of effort in connecting the fields of psychology of thinking, cognition philosophy and psychology of law. 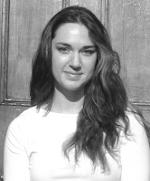 Danielle earned her master’s degree in Philosophy from the University of Johannesburg in 2013. She is currently a PhD student at the University of Johannesburg. Her research is primarily centred on rationality, but her interests include consciousness, neurophilosophy, philosophy of mind, and the possibility of rationality in artificial systems. 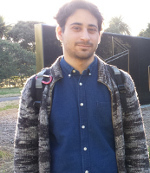 Diego (PhD University of Buenos Aires, 2015) is a postdoctoral researcher at CONICET (Argentina). He is interested in formal epistemology, philosophy of logic, and semantic paradoxes. In his doctoral dissertation, he discussed the relation between rationality and logic. 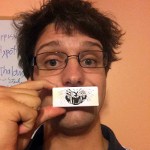 Borut is a PhD student of philosophy at University of Ljubljana, where he also participates in teaching activities. For his doctoral thesis he is researching how new information is learned from conditionals. His main research interests lie within epistemology, philosophy of science and philosophy of mind. Julia is a 4th year Bachelor student in the Liberal Arts and Sciences Program at University College Freiburg. During her studies, she focused on life sciences, cognitive sciences and philosophy. 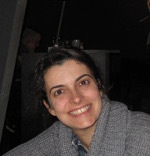 Under supervision of Dr. Marco Ragni she wrote her bachelor thesis on the neural correlates of different modalities of relational reasoning. Due to her background in biology, she is especially interested in the neural implementation of higher cognitive functions. 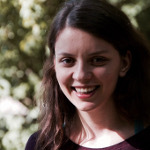 Julia will support the organizing team as a research assistant. 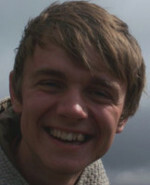 Simon is currently a 2nd year MPhil student in Philosophy at the University of Warwick. 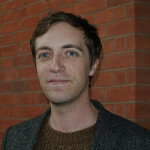 His research focuses on issues surrounding rationalising explanations, and the role rationality play in those explanations. More broadly, he has interests in Philosophy of Mind and Action and Epistemology. Jonathan is currently working on the case for optimism about human rationality. More broadly, his research interests are in the philosophy of cognitive science and philosophy of language.